Every year in the first week of July, Azerbaijani Turks in Iran gather at Babak Fort to commemorate the birthday of Babak Khorramdin. 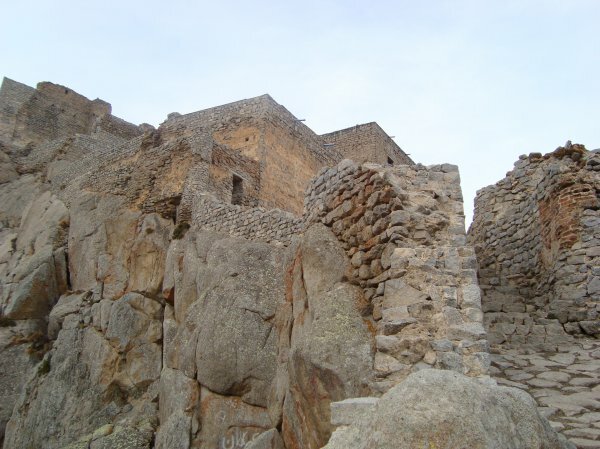 Babak fort, also known as ‘Immortal Castle’, or ‘Republic Castle’, is reminiscent of Babak Khorramdin, an important religious and political figure who during the Abbassid empire was the leader of the Khurramites, a sect mixing Shi’a Islam and Zoroastrianism. In the protesting leading up to this year’s commemoration, activists encouraged people to take part in the festivity in honour of their national hero and protested against the systematic discrimination of South Azerbaijani people. During these protests, government forces arrested at least 32 activists. Members of the Azerbaijani minority are thereby intimidated and discouraged from participating in the annual ceremony. At least 32 Azerbaijani activists arrested in the lead-up to an annual July protest at Babak Fort in East Azerbaijan province against discrimination targeting the Azeri minority. The arrests took place in several cities, including Tabriz and Ahar in East Azerbaijan province and Meshgin Shahr in neighboring Ardabil province, usually following home raids. Security officials contacted a large number of the activists and warned them to not attend the annual ceremony. Dozens other activists were summoned and threatened to arrest if they attend the ceremony. A number of those arrested are identified as Abbas Lesani, Jafar Rostami, Mehdi Houshmand, Mojtaba Abdoli, Morteza Parvin, Rahim Gholami, Kiumars Eslami, Ebrahim Nouri, Rahim Sasani, Morteza Mohammadi, Ali Vaseghi, Vahid Sadeghifar, Morteza Yazdani, Askar Akbarzadeh, Faraj Nouri, Sajjad Shahiri, Mousa Zia Gargari, Seyyed Karimi, and Abbas Ershadi. Babak Fort also known as the Immortal Castle or Republic Castle, is a large citadel and National Symbol of Iranians on the top of a mountain in the karadag forests, which is located 6 km southwest of Kalibar City in northwestern Iran. It has been identified as the stronghold of Bapak Khorramdin, the leader of the Khurramites in Azarbaijan who fought the Islamic caliphate of Abbassids. Iranian Azarbaijanis gather at Babak Castle during the first weekend in July for the annual commemoration of Babak Khorramdin. Locals say the authorities have arrested the activists during the recent weeks to prevent them from staging an annual rally. According to VOA, there has been a stepped up police presence around the fort to coincide with the observance of Babak’s birthday. They said police in the region’s main cities arrested the 17 Azeri activists to stop them from going to the fort and also warned several other residents not to travel there.